I’m thrilled that Tim has asked me to contribute a posting to his week on creating an environment that will help you succeed. I’m especially happy because he’s asked me to talk about something I’m very passionate about: being healthy. Now, I don’t claim to be the healthiest person out there and I’m not what you’d call a health nut. I’m not hyper-vigilant about additives in my food; I don’t take any supplements, I’m not a picky eater at all and I drink water out of the tap. I want share my thoughts on living a healthier life. Because I do have a passion for helping people do just that. A little about me: When I was a young child, I was overweight. As a teenager, I joined a swim team and lost a lot of weight, becoming really thin. Then I quit swimming, gained weight. I had children and gained some more weight. I got divorced and then lost a lot of weight. Then I gained it back and finally found myself facing middle age almost 100 pounds overweight with no one to blame it on but myself. At that point, I joined Weight Watchers and lost almost 100 pounds. I have kept that weight off for more than 10 years and now work for them. But this isn’t a blog about Weight Watchers. It’s a blog about making a commitment to be healthier. Weight loss, like any other undertaking, requires a long-term commitment and a willingness to stay the course, even when you aren’t getting the results you want. I firmly believe that we have set ourselves up with expectations of achievement without paying our dues, so to speak. Let me give you an example. It took me 15 months of making modest food and exercises changes to lose 90 pounds. But if I were to turn on the TV on a given night and watch a show like Biggest Loser, I would see people losing weight a lot more quickly – much more quickly than the average person should aspire to lose without constant medical supervision. We all know someone who has taken a drastic measure to loose weight (lap band, gastric bypass, etc.). And the pounds seem to just fall off them. In fact, these surgical interventions are as close as we’ve come so far to a “magic pill” for weight loss. Believe it or not, though, I know many people who have lost hundreds of pounds this way but have gained it back – just like anyone else. There is no magic pill. I’m not here to come down hard on people who choose those routes, but I do believe that the one thing we are becoming is a society that is unwilling to commit a time investment to what we want. “I want it all and I want it now.” That’s our American mantra. But when it comes to most things, “now” isn’t going to happen. We’ve got to be ready to invest time. Why is this so important? You know the phrase “When the going gets tough, the tough get going.” Well, I think we’re unwilling to work through tough times. We tend to give up as soon as we have a set back. When it comes to committing to a healthier lifestyle, you must be prepared for there to be days when you don’t want to exercise, even though you know it’s good for you. If you are working to lose weight and have committed to eating less and making healthier choices there are going to be days when you eat more than you planned or made choices you later regret. If you have the mindset that one day of falling off your plan means you’ve failed, you have a lot of heartache ahead of you! I have a member, Judy, who is in her 60s. When she joined my meeting, she was 200 pounds overweight. Over the course of two years, she has lost more than 150 pounds and will achieve her weight goal this year. During those two years, she had a period of almost six months where she only lost a total of four pounds! That could be very demoralizing to someone who, while she had lost a lot of weight, still had a considerable amount to lose. But she knew that what she was doing would pay off in the long run, even if it didn’t seem to be working at the moment. At the time, she had actually started an exercise routine (something she hadn’t done in 40 years), had hired a personal trainer, and made huge strides there. Now she’s back to a regular pattern of losing weight as well – thanks to her persistence and her faith that even very small steps get you closer to your goal. I believe that a healthy lifestyle is one of moderation, managed enjoyment things, and long-term commitment to our goals of making healthy choices. If you are starting, as I did, very overweight with a closetful of bad habits to change, you must be prepared to devote time – a lot of time – to making changes. You must be ready to see the scale go up sometimes. If you have made a commitment to true and lasting change, you aren’t focused on the events of one day in which you might have made regrettable choices; you are focused on how tomorrow – in fact, how your next meal – is an opportunity to get back on track. Tim talks a lot about starting over with nothing. One great thing about leading a healthier lifestyle is that you can’t undo all your hard work in one day. If I set my mind to it, I could spend all our money in less than an hour. I cannot possibly gain back the weight I’ve lost in a single day (no matter what I eat). I’ve begun a training program because I hope to run a half marathon later in the spring. Wednesday I simply couldn’t get a run in because of circumstances completely outside my control. One missed workout doesn’t undo all the other workouts that have preceded it – unless I give up. That’s the best news about focusing on healthier choices: if you have a bad day, you can fix it immediately. What’s the payoff? Not only will you feel better, but I believe you will learn disciplines that you can apply to any area of your life, whether it’s delaying a major purchase until you can pay cash for it, working an extra job for a period to pay off debt you’ve built up, or making sacrifices to start your own business. All the skills are the same: you build strength through persistence and determination. 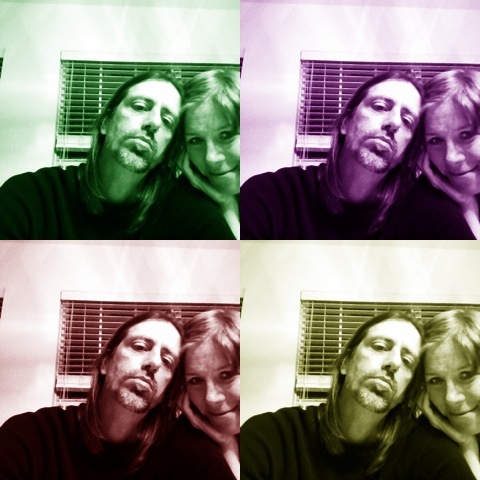 Today’s Guest post is from my Partner in life, and later this year she will be my new wife. She also has a blog about being a lady biker. 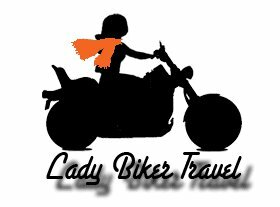 You can read more of her material at ladybikertravel.com. If you would like to guest post on our blog email me at : tim@rockerlifecoach.com , lets talk about a subject coming up and if you could give some input. 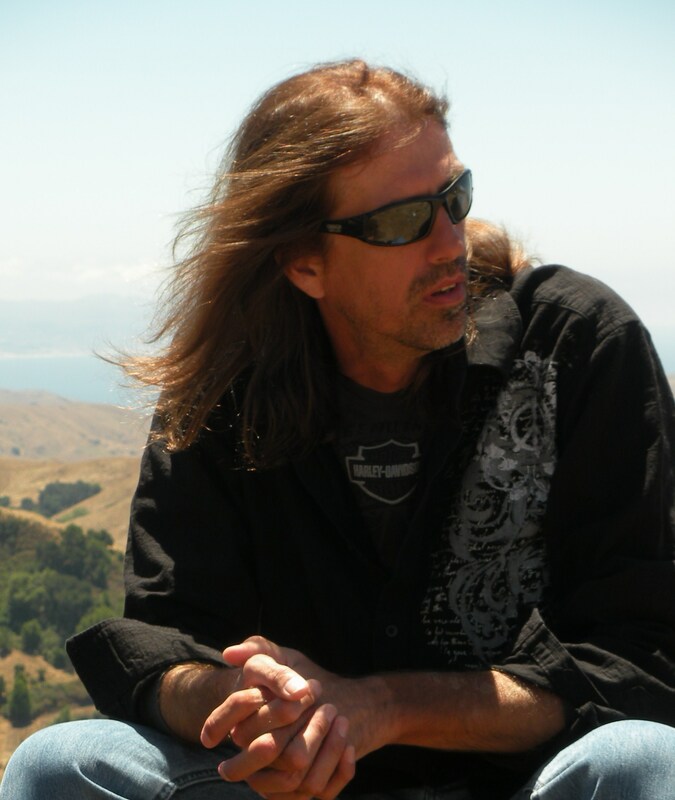 I’m Tim Gillette the Rocker Life Coach. It’s time to live your dream, to love what you do and those you share life with. Live a healthy life long enough to become the RockStar in your world. Earlier this evening, I read this on the ‘net: “Energy is one of the reasons why older people don’t exercise, but it is also one of the major drivers for why they want to exercise. It’s a catch-22: 69% of adults over the age of 50 exercise to gain energy, but the lack of energy is one of the top 20 reasons why older people don’t exercise. Boomers need to realize that in order to gain the energy to do the things you want and to exercise the way you want, you need to break through that lack of energy.” Energy always seems to hold me back; I find it impossible to break through that wall of exhaustion! Thanks for the great read. Keep up the good work – you are an inspiration! While getting older I notice this myself. Its work to keep healthy, Thanks again for your visits.